Ever wonder why you experience faster Internet speeds on your tablet in the living room, but a 30-foot walk into the kitchen means slower speeds? Many people blame their internet connection but it’s probably your Wi-Fi. If you’re confused, you’re not alone—lots of people think internet and Wi-Fi are the same thing. Here’s the difference: the internet is delivered to your home via a cable, and Wi-Fi is that internet signal broadcast wirelessly in your home. Now, one reason your Wi-Fi experience may be less than awesome is because your technology isn’t very new. Older laptops and smartphones often don’t use (and aren’t capable of using) current wireless standards. This means they won’t download information as quickly as something fresh off the shelf. But if your tech IS new, then your Wi-Fi is probably being impacted by the first rule of real estate: location, location, location. We’ve talked about this before, but the strength of your Wi-Fi signal is all about where your gateway (or modem) is located. If the device you’re trying to use is a long distance away from the gateway, it’s going to impact your speed. Plus, you have to consider what the signal has to pass through to reach your device—it’s going to be slowed by passing through thick walls or furniture. And it’s not just thickness of walls, it’s what any barriers between you and your gateway are made of. For example, Wi-Fi travels through glass better than through concrete and brick walls (not including glass fish tanks!). Also, microwaves, cordless phones, baby monitors, security cameras and blue-tooth devices can interfere with Wi-Fi signals. Accounting for all of these different factors can be frustrating—but it doesn’t have to be. Customers have asked for customized help and now we have an answer: TDS Premium Wi-Fi. It’s a new way to get the best Wi-Fi experience in every room in your house without the guesswork and troubleshooting. 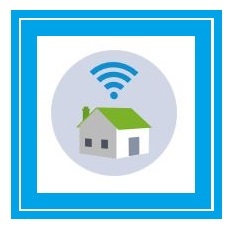 With Premium Wi-Fi, new customers (or customers who are adding TV service) will experience worry-free connectivity for all their wireless devices and better coverage in their home. Equally awesome, you’ll be just a phone call or web chat away from receiving help from our team of Wi-Fi experts Monday to Friday, 7 a.m. to 10 p.m. (CST) and Saturday, 9 a.m. to 6 p.m. (CST). Yes, really. And all for the price of a single trip to Starbucks ($7.95 a month). TDS techs will deliver a dual-band gateway, so you’ll experience faster Internet speeds and less signal interference throughout your home. They’ll also install that gateway in the optimal spot, ensuring the best Wi-Fi- coverage possible. If you’re tired of constantly troubleshooting your Wi-Fi, give TDS Premium Wi-Fi a try when you call to order new TDS service or add TV to your account. You can give us a call at 1-877-414-9478 or visit tdstelecom.com/wifi to learn more.